If you have just gotten your Pi, now you need to get started. Your Pi is nothing more than a base computer. Before it can do anything, you must first load an operating system. In the case of the Pi, the operating system should normally be loaded on an SD card, which is inserted directly into the Pi. You can download the operating system for your new pi from https://www.raspberrypi.org/downloads/ . I recommend using Raspbian if you are just starting out because it provides many of the most useful functions and is a good place to start learning. 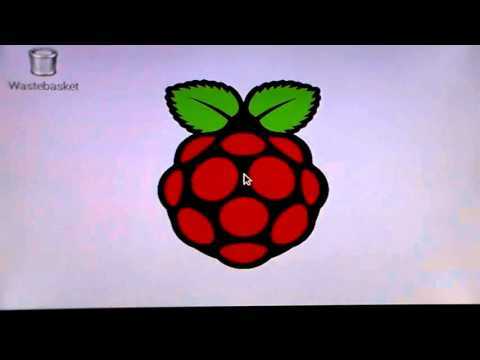 Download Raspbian from the raspberrypi.org website. How you get the operating system onto your new SD card will depend on the operating system you are using for your base machine. If you are using windows on your main computer, first download Win32DiskImager from http://sourceforge.net/projects/win32diskimager/ install it, and launch it. Select the image file that you extracted in the first step of this process. Be careful to select your SD card under device. All data on the selected drive will be erased during this process. In my case, my new SD card was identified as e:. You should exercise extreme caution if you have multiple removable media inserted into your computer, for instance if you have more than one SD card, or a USB jump drive inserted while attempting this process. Selecting the wrong device could result in the loss of data. You should see an entry showing your SD card. An easy way to identify your card is by the size of the partition. Typically the SD card will be sized between 4GB and 32GB. Hard drives are typically significantly larger. In my case, the SD card was identified as /dev/sde. It contained two partitions, /dev/sde1 and /dev/sde2. Before booting your pi, you will first need to install your SD card into the Pi. The SD card will fit into the slot on the bottom of the Pi. You will also need to plug a power adapter into the Micro USB plug. This should be able to provide at least 1.5 – 2 Amps at 5V. The power port is shown below. Once you have plugged in your Raspberry Pi, it should boot automatically. When the boot is complete, you should be taken to the desktop. From here, click on the Terminal icon at the top of the screen to launch the terminal. At the very least, you should run the top two commands: Expand Filesystem and Change User Password. Expand Filesystem – will make the entire size of your SD card available for your Raspbian installation. When you are finished, you can press your button to exit the menu selection, and press finish. You should reboot your Pi to make the complete the changes. Your result should be similar to what is shown below. In the picture, the IP address of the machine is shown.